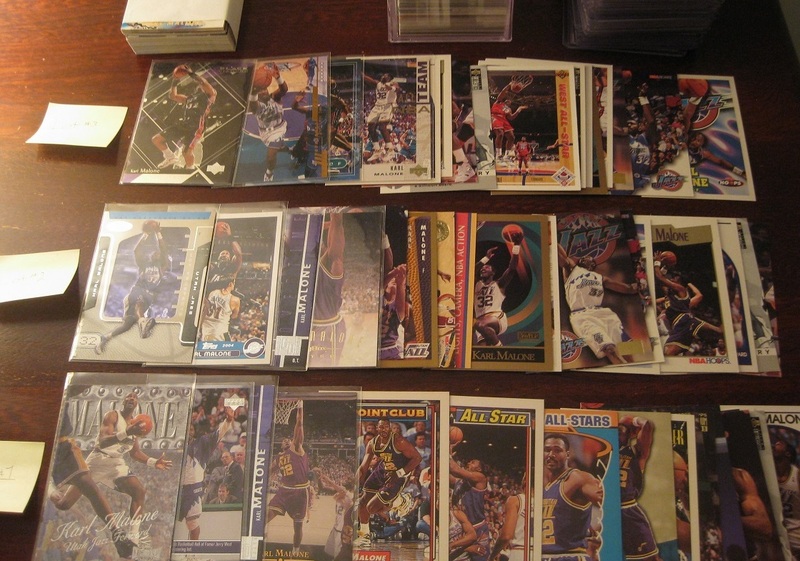 In honor of Karl Malone turning 50 today, I will be giving away 50 FREE Karl Malone basketball cards. They will be broken down into 16, 17 and 17 card lots for a total of 50 divided amongst 3 different winners. Tonight at 5:00 PM MT (7:00 PM ET), 7:00 PM MT (9:00 PM ET), and 9:00 PM MT (11:00 PM ET), I will be posting 3 Karl Malone trivia questions here at Jazzbasketball. The first person to answer each question correctly in the comment section wins. Requirements: Must have valid email address and respond to my email with a mailing address within 48 hours. Limit 1 card set per person. Today wraps up a week-long marathon of Jazzbasketball Karl Malone content. Here are quick-links to the past 7 days of Malone posts and videos. Karl Malone is the primary reason I became a Utah Jazz fan. Growing up I knew both Karl and John Stockton were great players, but it wasn’t until my teens that I truly appreciated Stock’s greatness at the same level of Malone’s. Initially Karl’s ability to score with grace and power is what drew me in and for most of my life was my favorite professional athlete to follow. Growing up I would record Jazz games, study Karl’s moves and then go out in my driveway and practice them over-and-over. I know his game inside out and as a result have nothing but admiration and appreciation for his ability, his effort, his work ethic and his competitiveness. Above all, Karl Malone was human – and in my opinion a good one at that. We aren’t drawn to professional athletes because they’ve made perfect decisions throughout their lives – we’re drawn to them because of their athletic abilities and talents. Karl made mistakes, as we all do. However he owned up to them, remained true to himself, was extremely generous with both his time and money, and perhaps most importantly – he was real. You knew that what you saw was who he was – that was something we could all relate to. Michael Jordan certainly isn’t any great philanthropist, but he was a once-in-a-generation talent and ESPN dedicated seemingly an entire week in February for MJ’s 50th birthday. Growing up I admired Karl Malone (still do), and it’s been a pleasure to spend the past week compiling and sharing my appreciation of Karl Malone. Without him, there would certainly be fewer Jazz fans out there. Happy birthday Karl, the greatest power forward to ever play the game. I know Malone’s caught plenty of fish, but he’s the one who hooked me on the Utah Jazz – and I wouldn’t trade them for any other team in the world. Along with John Stockton and Jerry Sloan, Karl made the Utah Jazz into a truly great franchise. Now as he works with Utah’s promising young bigs, let’s hope he can help make them great once again. What a wonderful tribute to Karl Malone. 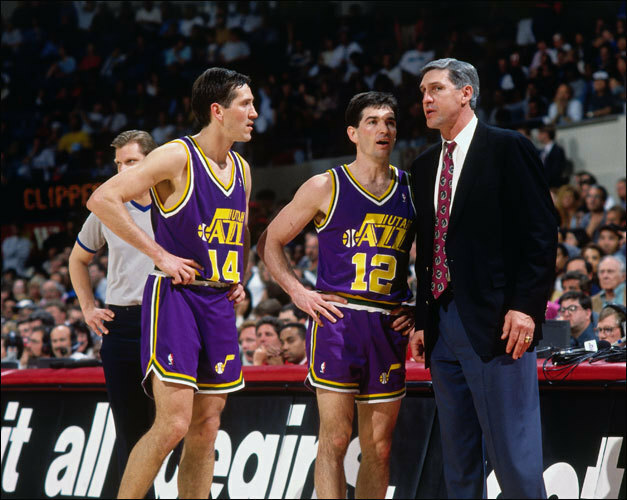 I became a Jazz fan because of John Stockton. I don’t think I fully appreciated the greatness that is Karl Malone until the last few years. Don’t get me wrong, I loved him and loved his game but to fully appreciated how talented Karl was, how hard he worked and his love and dedication towards the game. 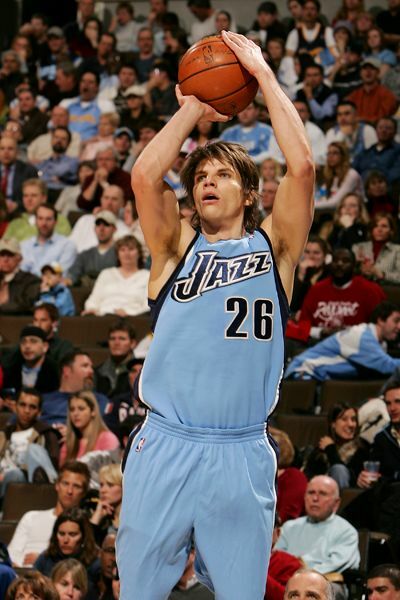 It is hard to find a player that improved on his raw talent by working so hard as much as Karl did. Studying his game the last few years by watching highlights, reading posts and looking at numbers has made me realize how lucky we were as Jazz fans and that there will never ever be another Karl Malone. Thanks for taking this week to honor Karl the way he deserves to be honored. Thanks for the comment! Interesting how we were total opposites (growing up for me it was Karl first and it took awhile to fully appreciate Stock as a once-in-a-generation talent), although ultimately they’re still 1a and 1b in terms of greatness and adoration.